What happens when you lose your guide before you find your way? 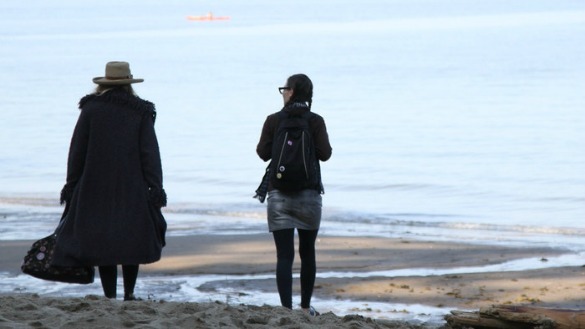 Inspired by director Ben Ratner’s long friendship with Vancouver actress Babz Chula, Down River tells the story of an older woman named Pearl (Helen Shaver) who guides three younger talents — artist Aki (Ratner’s wife Jennifer Spence), rock singer Harper (Colleen Rennison) and actress Fawn (Gabrielle Miller) –who live in her building. When Pearl unexpectedly leaves their lives, the three are forced to face the future on their own. Babz Chula not only serves as the inspiration for Ben Ratner’s film, she’s also the subject of Anne Wheeler’s documentary Chi, which follows the Vancouver actress to Kerela, India, where she hopes to find a cure for her 6-year battle with cancer. At first Chula improves under the Ayurvedic healer’s care but discovers on returning home that her cancer has advanced not retreated. Down River director/writer Ben Ratner, Colleen Rennison, Jay Brazeau and Jennifer Spence pose for the Vancouver Sun photographer at the VIFF media conference. Jennifer Spence as the artist and Colleen Rennison as the rock star. Documentary Chi premieres at SFU Woodward’s on October 3rd. 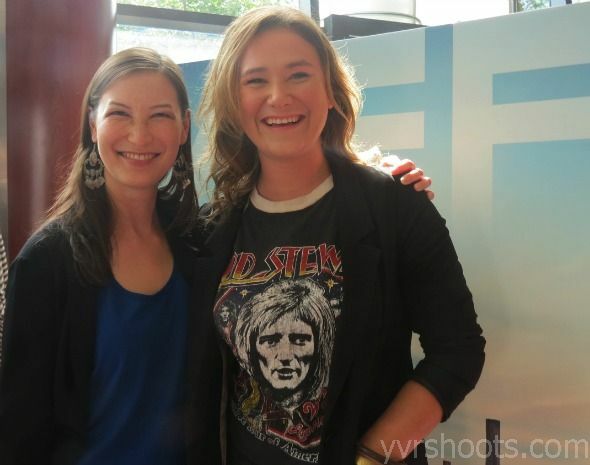 Film Down River premieres in a gala screening at the Vancouver Playhouse on October 5th. For tickets go to viff.org.